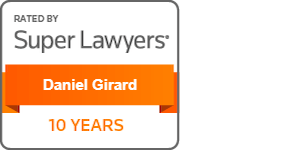 Under Daniel Girard’s leadership, Girard Sharp has become one of the most respected and experienced class action law firms in the United States. Dan believes that, too often, the U.S. legal system favors companies and financial institutions over ordinary people. He founded the firm to provide individuals who work hard and play by the rules the same focused, dedicated representation enjoyed by corporations, banks, and insurance companies. 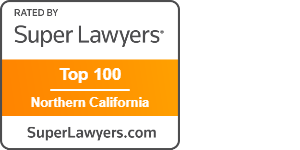 Dan is frequently appointed by courts to lead major complex cases. For example, he served as a lead lawyer for securities investors following the collapse of Lehman Brothers and as lead counsel for commodities investors following the failure of the Peregrine Financial Group. In addition, Dan has successfully prosecuted numerous cases for violations of consumer fraud, predatory lending, and unfair competition laws. Dan’s current case work includes serving as lead counsel in the Woodbridge Investments Litigation, as a member of the leadership team in the USC Student Health Center Litigation, as lead counsel in the United States Office of Personnel Management Data Breach class action, and as lead counsel for the California Teachers’ Retirement System in litigation against Walmart for violations of the Foreign Corrupt Practices Act (FCPA). Dan’s past and present clients include the California Teachers Retirement System, the Kansas Public Employees Retirement System, the American Federation of Government Employees, Fireman’s Fund Insurance Company, Allianz Life Insurance Company, Nu Skin International Inc., and celebrity photographer Gunter Sachs. Dan considers it a privilege to serve the federal court system as a volunteer. 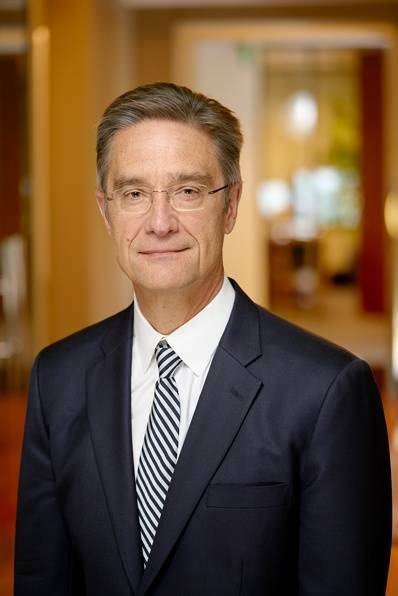 He was appointed by Chief Justice William H. Rehnquist to the United States Judicial Conference Advisory Committee on Civil Rules and served on the Civil Rules Committee from 2004 through 2010. Chief Justice John G. Roberts appointed Dan to the Standing Committee on Practice and Procedure in 2015 and reappointed him to a second term in 2018. Dan’s article, "Limiting Evasive Discovery: A Proposal for Three Cost-Saving Amendments to the Federal Rules", 87 Denver University Law Rev. 473 (2010), proposed several rule amendments that were ultimately adopted in Federal Rule of Civil Procedure 34(b)(2). Dan was educated in France as well as the United States and is fluent in French. Worked with leadership team members and federal equity receiver to recover $150 million in action against Raymond James Financial relating to EB-5 Visa investment project to develop Jay Peak in the Vermont area. Lead counsel in action arising out of Sears’s spinoff of 235 properties to Seritage Growth Properties, a newly formed REIT, to a group that included hedge funder Eddie Lampert and now-treasury secretary Steve Mnuchin. Negotiated a $40 million recover for Sears Holdings Corporation in a derivative action in Delaware Chancery Court. Lead counsel in action on behalf of employees affected by cyberattack attributed to North Korea following release of film The Interview; led negotiation of settlement for cash and identity theft insurance. Lead counsel in action against US Bank following collapse of Peregrine Financial Group, prosecuted in coordination with federal bankruptcy trustee and Commodities Futures Trading Commission. Recoveries totaled over $70 million. Lead counsel in a class action against broker-dealer Securities America Inc. and its corporate parent, Ameriprise Inc., in connection with sales of Provident Royalties and Medical Capital investment schemes. Led settlement negotiations resulting in a $150 million settlement for the federal class action and individual investors in arbitration proceedings. Co-lead counsel in a class action on behalf of individuals who alleged that American Express steered its clients into underperforming “shelf space funds” to reap kickbacks and other financial benefits. Negotiated a cash settlement of $100 million and additional relief. Scheiner v. i2 Technologies, Inc., et al. Represented the lead plaintiff, Kansas Public Employees Retirement System, and served as co-lead counsel in securities fraud class action on behalf of investors in i2 Technologies. Negotiated cash settlements of $88 million from the company, its officers, and its former auditor (Arthur Andersen LLP), as well as significant corporate governance reforms. Served as co-lead counsel in securities class action brought by investors against a real estate investment trust and its officers and directors following false statements the defendants allegedly made in the context of a merger. Negotiated a settlement for over $104 million in cash and stock. Served as lead counsel in class action against H&R Block alleging that the tax firm misled consumers in the marketing and sale of its “Express IRAs.” Recovered $19.4 million settlement for H&R Block customers. Lead counsel in this consumer class action on behalf of Best Buy customers who were signed up for free trials of Microsoft’s MSN internet service, never logged in, or used the service, but were charged regular monthly fees by Microsoft after the end of the trial period. Achieved a cash settlement providing for reimbursements up to a maximum of $75 as well as other benefits. Member of the Executive Committee in this coordinated antitrust litigation against numerous natural gas companies for manipulating the California natural gas market. Settled for total recovery of $160 million. Served as lead counsel in a class action lawsuit alleging that American Fair Credit Association (AFCA) operated an illegal credit repair scheme. Achieved settlements for the class valued at over $40 million. Daniel Girard Co-Chairs Judicial Training Symposium hosted by the Federal Judicial Center and Electronic Discovery Instiitute and Panel on Proportionality"
Joint Conference of Kansas City Metropolitan Bar Association, D. Kan. and W. D. of Mo.